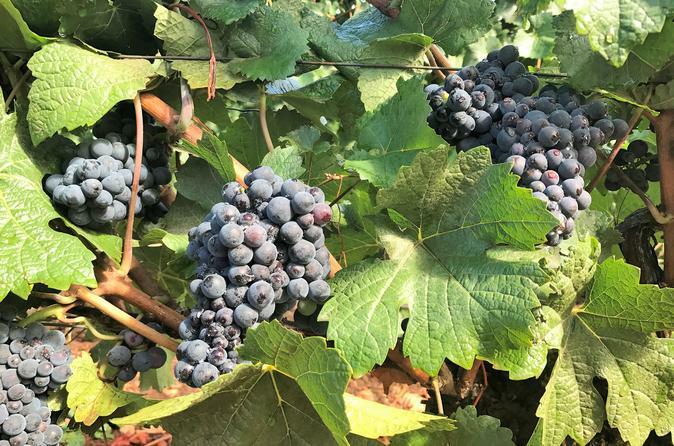 On this full-day Eugene City and wine-tasting combo tour, you can experience the best that the City of Eugene has to offer and explore the amazing Southern Willamette Valley Wineries. On this guided, small-group tour you will visit some of Eugenes best attractions, such as the Shelton McMurphey Johnson House, Skinner's Butte, Owen Rose Garden, Cascades Raptor Center, the Museum of Natural and Cultural History, the University of Oregon and Hayward Field, and enjoy three different wine-tastings at three select local vineyards. This tour includes transport by an air-conditioned Sprinter van. After being picked up at one of our three designated pick-up locations, travel through various parts of the "Emerald City' — from downtown to the Whiteaker Neighborhood, plus the University of Oregon. Visit all the must-see attractions, and learn about the history of Eugene, and the interesting culture that exists here. Enjoy the phenomenal views of Eugene from Skinner's Butte and learn why this spot is known as the birthplace of Eugene! Tour through the Shelton McMurphey Johnson House, which has been a landmark in Eugene for more than a century. Although many changes have been made over the years, the house – with its carved and turned exterior woodwork, polygonal tower, ornate open porches, and large bay windows – remains Eugene’s most elaborate example of late-Victorian Queen Anne Revival style architecture. After leaving Owen Rose Garden we will visit the Whiteaker Neighborhood. This neighborhood that has gone through an incredible transition from dilapidated houses and an anarchist hot spot, to a new generation of artist and young entrepreneurs taking ownership in this renewed districts for shops, boutiques, galleries, restaurants, wine shops and breweries. Next we will drive along trendy downtown Broadway Street which was Eugene’s original outdoor walking mall. This street has been converted to a car friendly area allowing new business to thrive and showcase beautiful storefronts, fun eateries and local popular hangout with street entertainment, culture and more. No visit to Eugene would be complete without stopping at the University of Oregon Campus. While here we will visit Hayward Field and on weekends we will also stop at the Museum of Natural and Cultural History where you can delve into Oregon’s story, from the archaeology of the first Americans to the dynamic cultures of today’s tribes. We will also tour the Cascades Raptor Center has one of the largest collections of native raptor species in the Pacific Northwest. Visitors can view nearly 50 birds of prey in large outdoor aviaries. After your morning City Tour, you will be dropped off in downtown Eugene for lunch (at own expense). Following lunch, you will visit 3 Southern Willamette Valley Wineries! This afternoon we will visit three wineries and taste several varietals at each one with nibbles along the way for pairing pleasure. We select your winery based on season and day of the week, each will have a unique and different experience from boutique to Estates to enhance your tour experience.